IIm Kalender liegen Karfreitag und Ostern dicht beieinander. Die Atmosphäre der beiden höchsten Feiertage des Christentums könnte jedoch nicht unterschiedlicher sein: An Karfreitag betrachten die Gläubigen den ans Kreuz genagelten Christus und beweinen dessen Tod. An Ostersonntag feiern sie seine Auferstehung. Die Tradition der Kirche verstärkt die Gegensätzlichkeit dieser Gefühlswelten noch einmal: Karfreitag ist ein strenger Fastentag, an dem in den Gotteshäusern die Kerzen gelöscht und die Flügelaltäre zugeklappt werden. Am Ostersonntag werden nicht nur in den Kirchenräumen die Farben hell und die Speisen süß und üppig. All das dient der Dramaturgie. Der Kontrast zwischen Hell und Dunkel auf dieser kurzen, aber entscheidenden Etappe der Heilsgeschichte soll für die Menschen so klar wie möglich kenntlich werden. EAST KURDISTAN (IRAN) – Bryant Harris April 18, 2019 – AL MONITOR – Article Summary – An annual State Department report says Tehran may have violated the Treaty on the Non-Proliferation of Nuclear Weapons. – The Donald Trump administration is trotting out a new line of attack against Iran over its nuclear program as it continues to expand its so-called maximum pressure campaign. A synopsis of a pending annual State Department report on international nuclear compliance released this week accuses Iran of potentially violating the 1970 Treaty on the Non-Proliferation of Nuclear Weapons (NPT). The allegations lay the groundwork for the administration to argue that Iran is in violation of its 2015 nuclear deal with world powers, despite the International Atomic Energy Agency’s (IAEA) assertions to the contrary. Flynn called Kislyak on Dec. 29, 2016, the day after the Obama administration announced new sanctions on Russia, to discuss the sanctions, counterterrorism and “Russia’s views about the Middle East.” (Vol. 1, p. 171). The only mentions of Turkey are in relation to Flynn’s lobbying law violations (Vol. 1, p. 183 and Vol. 2, Appendix D-1). Suicide bomber Othman Al-Baluchi (Telegram, April 13, 2019). In the Iraqi arena, ISIS’s intensive activity continues in the various provinces in the north and west of the country. 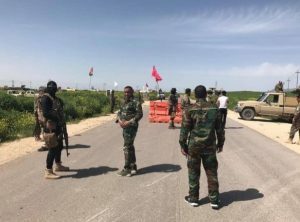 Most of the attacks took the form of ambushes and detonation of IEDs against the Iraqi security forces and Shiite militias moving on the roads. The Iraqi government continues its preventive and counterterrorism measures, but it is unable to significantly reduce the number of attacks carried out by ISIS. ISIS continued its media campaign designed to encourage and raise the morale of its operatives following the blow that it had suffered in Syria. The phenomenon of ISIS operatives renewing their pledge of allegiance to ISIS leader Abu Bakr al-Baghdadi is also noteworthy (this week in the Iraq Province, previously in the Sinai Province). In the ITIC’s assessment, the need to renew the pledge of allegiance may reflect the erosion in Al-Baghdadi’s status in the wake of the defeats suffered by ISIS. On April 12, 2019, the Syrian army attacked rocket launchers and logistics routes of the rebel organizations in the rural area south of Idlib (SANA, April 14, 2019). On April 14, 2019, the Syrian army fired artillery at forces of the Headquarters for the Liberation of Al-Sham in the northern Al-Ghab Plain (SANA, April 14, 2019). The same day, the Syrian army fired over forty rockets at forces of the Headquarters for the Liberation of Al-Sham which were moving about 30 km north of Hama. Dozens of operatives were killed and wounded (Syrian Now News, April 15, 2019). The Syrian army fired artillery at forces of the Headquarters for the Liberation of Al-Sham about 35 km south of Idlib, and about 40 km northwest of Hama (SANA, April 16, 2019). The “Awaken the Believers” operations room (affiliated with Al-Qaeda) announced that it had fired artillery at Syrian army positions about 40 km south of Aleppo (Telegram, April 14, 2019). The rebel organizations in the rural area north of Aleppo fired rockets at the Al-Khalidiya neighborhood in northwestern Aleppo. 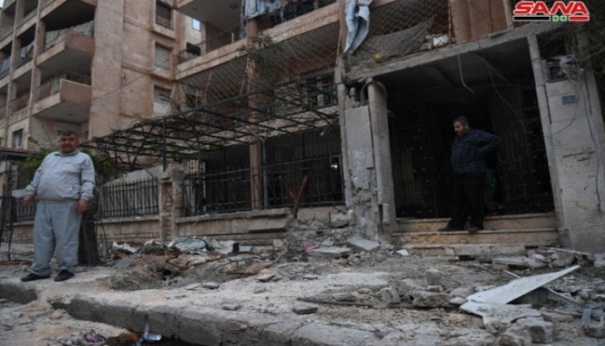 According to the Aleppo police, one of the rockets hit an open market, killing 11 people and wounding 11 others (SANA, April 14, 2019). The “Awaken the Believers” operations room announced that it had carried out a night attack against Syrian army positions about 45 km east of Idlib. About seven Syrian soldiers were either killed or wounded (Telegram, April 15, 2019). The rebel organizations fired a rocket which hit an area close to central Aleppo (SANA, April 15, 2019). According to Syrian media reports, on the night of April 13-14, 2019, Russian fighter jets carried out airstrikes against positions and weapon depots of the Headquarters for the Liberation of Al-Sham in the Idlib rural area. Several operatives were killed and wounded, and several command posts of the Headquarters for the Liberation of Al-Sham were destroyed. The airstrikes were carried out after Russian UAVs uncovered preparations for carrying out offensive activity south of Idlib (Muraselon, April 14, 2019). On April 15, 2019, the Iranian Fars News Agency reported that over the past 24 hours, the Russian Air Force had carried out massive airstrikes against the Headquarters for the Liberation of Al-Sham in Idlib (Fars, April 15, 2019). The headquarters of the Palestinian Al-Quds Brigade, a highly capable military force handled by the Syrian regime, announced that ten of its fighters were killed in the Bir Ali area south of Al-Mayadeen in the campaign to mop up the Syrian Desert from ISIS operatives (Al-Quds Brigade’s Facebook page, April 13, 2019). 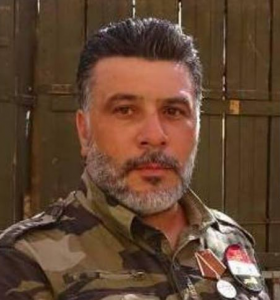 One of the fatalities was Imad Zakariya Jamu, a prominent commander of the Al-Quds Brigade (Deir ez-Zor 24, April 14, 2019). 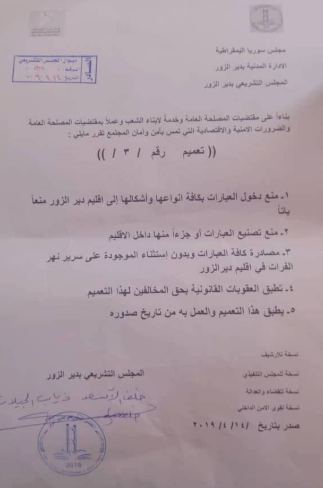 The civilian council affiliated with the SDF released a pamphlet prohibiting entry of various kinds of ferries to the Euphrates River in the Deir ez-Zor Province. Manufacturing new ferries was also prohibited. In addition, it was noted that all ferries on the (east) bank of the Euphrates would be seized and that anyone breaking the law would be punished (Deir ez-Zor 24, April 14, 2019). In the ITIC’s assessment, these prohibitions were intended to prevent passage of ISIS operatives from the (SDF-controlled) east bank to the west bank (controlled by the Syrian army). This was done in order to make it difficult for ISIS operatives to move from one area to another along the Euphrates River and to try to flee from the east bank to the deserts west of the Euphrates River. Al-Anbar Province: Four IEDs were detonated against two vehicles, one of the Iraqi police and another of the Tribal Mobilization. 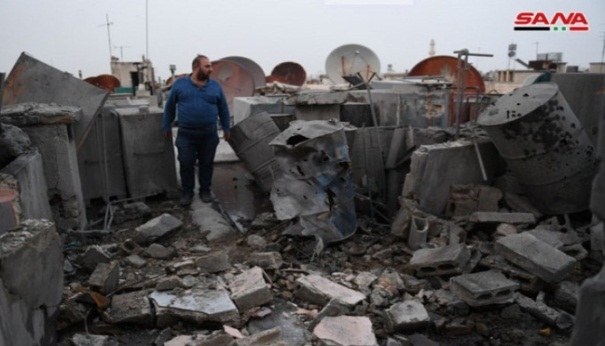 The explosion took place in the city of Al-Amiriyah, southeast of Fallujah, killing and wounding six policemen and Tribal Mobilization fighters. Al-Anbar Province: IEDs were detonated against three Iraqi army observation points 90 km west of Ramadi. Diyala Province: An ambush was set up against Tribal Mobilization fighters 19 km northeast of Baqubah. One fighter was killed, and another was wounded. Diyala Province: Sniper shooting at Popular Mobilization operatives in the Khanaqin area, about 95 km northeast of Baqubah. Four fighters were wounded. Al-Anbar Province: An IED was detonated against a Tribal Mobilization vehicle around the city of Ramadi. Three fighters were killed and wounded. Al-Anbar Province: An IED was detonated against an Iraqi army vehicle about 160 km west of Ramadi, killing the vehicle passengers. Diyala Province: An IED was detonated against an Iraqi army patrol (20 km northeast of Baqubah), killing one soldier and wounding an officer. 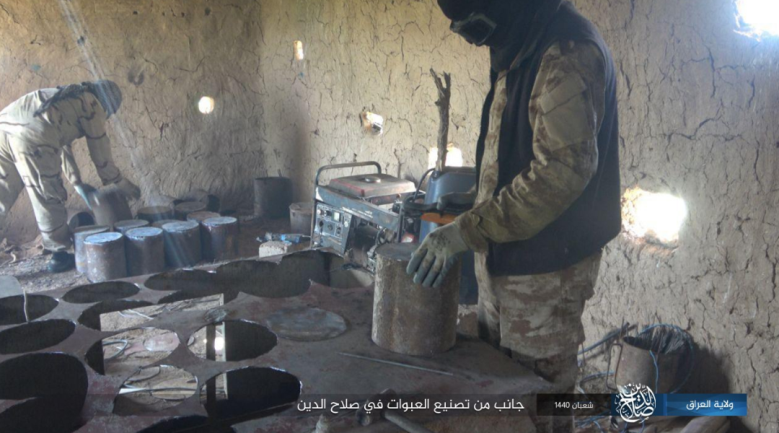 ISIS’s Salah al-Din Region in the Iraq Province recently released a photo showing two ISIS operatives inside a structure used as an improvised workshop for making IEDs (Iraq Province – Salah al-Din Region, via Telegram, April 16, 2019). Salah al-Din Province: Combat Engineering sappers from the Popular Mobilization’s 14th Brigade located and neutralized dozens of IEDs planted along a route east of Tikrit, about 70 km south of Kirkuk (al-hashed.net, April 14, 2019). Nineveh Province: The Iraqi army Intelligence Directorate detained a senior ISIS operative in the Zahra neighborhood in eastern Mosul. 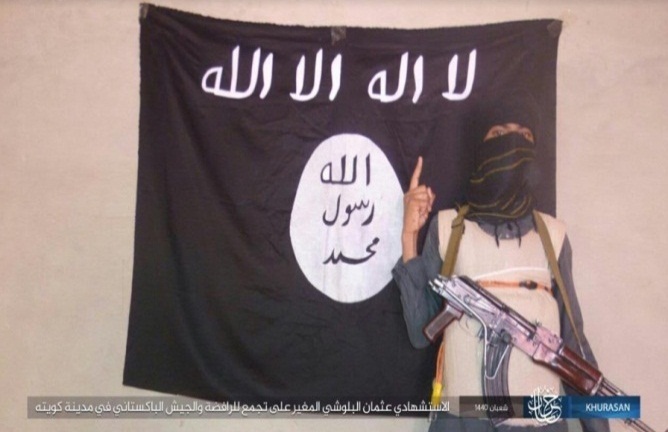 During the times of the Caliphate State, this operative was in charge of ISIS’s spoils of war in the sub-district of Qayrawan, about 90 km west of Mosul (Baghdad Post, April 15, 2019). Nineveh Province: Popular Mobilization fighters deployed at the entrances to the city of Sinjar, about 100 km west of Mosul, searching for ISIS operatives. 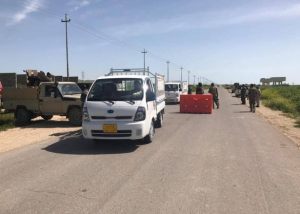 Photos released show the Popular Mobilization fighters manning mobile checkpoints and stopping vehicles for inspection (al-hashed.net, April 15, 2019). The Iraqi security forces reinstated the night checkpoints throughout Iraq to put an end to the movement of ISIS operatives and the terrorist attacks carried out recently. A senior Iraqi army officer said that checkpoints would be set up every day and be mobile, in accordance with intelligence received (Iraq Press as quoted in Akhbar al-Iraq, April 13, 2019). The Iraqi judicial system initiated legal proceedings against 900 Iraqi ISIS operatives who were extradited from Syria to Iraq by the SDF forces, after their investigation materials were received. A court authorized to look into terrorist cases has started to schedule dates for their trials (Al-Sumaria, April 14, 2019). “Over 190K Iraqis have received training from Coalition forces; this means thousands of police, border guards, soldiers and airman protecting their country. Iraqi trainers are now taking over much of the training in a self-sustaining cycle,” the Coalition says. The US Treasury Department announced yesterday that it has designated six members of the Rawi Network, as well as a female Islamic State facilitator based in Kenya.The Rawi Network’s members are key money men for the Islamic State. The US military and its allies have targeted Rawi personnel in Iraq and Syria. And intelligence from these raids helped inform Treasury’s latest designations. The US killed Fawaz Muhammad Jubayr al-Rawi, a Syrian who helped lead the network and served as an Islamic State “finance emir,” in a June 2017 airstrike in Abu Kamal, Syria. The US and Iraqi governments had begun clamping down on his businesses months earlier. Fawaz rose to prominence within the Islamic State after he swore allegiance (or bayat) to Abu Bakr al-Baghdadi in 2014. Fawaz’s loyalty gave the self-declared caliphate access to his extensive web of businesses, which provided crucial money laundering and exchange services. Greater delays, downtime, and problems acquiring new planes have made Iran feel the heat, but its civil aviation sector continues to generate revenue for the regime. On March 25, France announced that it would halt Mahan Air’s four weekly flights to and from French airports beginning on April 1. The move followed Germany’s January ban on flights by the Iranian airline, a decision based on security concerns and Mahan’s involvement with illicit activities conducted in Syria by the Islamic Revolutionary Guard Corps. Even amid this growing pressure, however, Iran’s airline industry has found ways to skirt certain sanctions and continue operating. Mahan still flies to Milan and Barcelona, for example, and travelers can then continue onto Paris via short alternative routes. Moreover, the company’s near-daily flights to Damascus have been hardly affected, despite the U.S. Treasury Department’s past finding that Mahan planes had been “secretly ferrying operatives, weapons, and funds” to Syria. A closer look at the industry’s current status provides more insight into such loopholes, and whether they can be closed. 2. “Worst Chemical Attack in Years in Syria; U.S. Blames Assad” from The New York Times (Appendix 2). A new CNN report presents the full numbers of those detained by SDF as the ISIS “caliphate” collapsed over the last year. This now includes 9,000 ISIS fighters (Syrian and Iraq), 60,000 of their families and “affiliates” and up to 2,000 foreign fighters. “Currently, we can confirm more than 1,000 foreign terrorist fighters from more than 50 countries in SDF custody. We anticipate that number will rise as we work with the SDF to verify the national identities of ISIS fighters in SDF custody,” Pentagon spokesman Cdr. Sean Robertson told CNN. It used to be that there were thought to be 3,200 ISIS members held by the IDF before Hajin and the Baghouz offensive that began in September 2018. The 3,200 allegedly included around 900 foreign fighters from 41 countries. It was never entirely clear if that was accurate or if they were mostly foreign. Now the growing numbers are revealed. The SDF, with support from the Coalition, is using biometrics to determine who is who. This is especially the case with the foreigners. It can help investigators to look into these fighters and trace them to their home countries. Most European countries refuse to take them back even though European ISIS members played some of the most cruel and genocidal role in ISIS. Many of those who left Baghouz were fingerprinted. We now know that in Al Hol camp, CNN reports, that there are 73,041 people. 65 percent are under 18. 43% are Syrians and 42% are Iraqis. The rest are from other countries. ISIS was a kind of colonial operation, in which up to 50,000 people journeyed from around the world to genocide, ethnic-cleanse and enslave locals. In defeat many of these foreign genocide tourists now remain.